We hope we got your blood pumping with yesterday’s post about the next-gen LibGuides. But there’s more good news to share – we’ve been busy working on another platform which, we believe, will have an even greater impact on libraries than LibGuides has had. Here’s the scoop… We know librarians love statistics. You collect statistics on all aspects of library operations, and keep those in spreadsheets, tick sheets, on staff computers; some stats are stored in your opac, some are with your e-journals aggregators, etc. Also, things change – a new e-journals aggregator, new catalog (especially when we develop one – JUST KIDDIN’ ;), heck you even change staff members, so what happens with your data? The whole “data all over the place”, “big data”, “small data”, “who has my data?” situation is a mess. Wouldn’t it be nice to have *one platform* to gather, hold (forever! ), and analyze all your library statistics – to track usage and capture trends using flexible charting tools, to easily run cross tab reports, to view & sort data tables, and to export data into presentations, annual reports, conference papers, etc. Or, why not just pull up your tablet at a meeting or a conference and create charts on the spot! Want to easily compare your statistics with peer institutions? You should be able to! E-journals/Databases Analytics – with cost per click & cost per download analysis, platform-level usage and costs trends, journal-level analysis (top use/zero use journals, duplicate titles, etc.) You can also compare usage of any individual platform or a journal against peer institutions in the LibAnalytics community. Acqusitions Analytics – get a visual representation of your acquisitions activity – by funding codes, item location, Library of Congress classification, format, etc. Compare your stats to the other institutions in our community. Store statitics for annual reports such as NCES statistics and the like. Compare annual trends for any NCES data points, draw charts and see how your library stacks up against the community – any NCES datapoint can be compared against your peers. Track Library Budget trends? Heck, why not – LibAnalytics Insight makes it possible. Create as many budget categories as you want (expenditures or revenues such as printing fees, fines, grants, etc.) and track and analyze annual trends… whatever and however you need it. Create Datasets for tracking website statistics, gatecounts, Reference use, Archives visits… If you can dream it, LibAnalytics Insight can track it, by creating a custom Dataset for your specific needs. Keeping all your statistics in one place also enables you to cross-reference data and produce mashups to get new and interesting angles on the usage of your library resources. What about creating publicly accessible dashboards for your stakeholders and your patrons can view select statistics on how the library is being used? Check! Going to ALA? 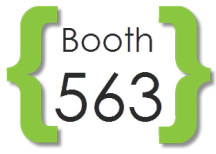 Come to booth #563 for a preview of LibAnalytics Insight. If you can’t make it to Chicago, check out the link below for a screenshot tour. LibAnalytics Insight will be available at the end of the summer, and will only cost a few thousand dollars per year. We know what you’ll say – is that all?. Yes it is – we make our tools affordable so that every library can take advantage of them. The ALA Annual Conference! A time of year to meet up with old friends, learn new things, eat delicious food, and visit your fave library vendor, of course! We’re unveiling our biggest ever update to LibGuides – a complete and utter redesign of the LibGuides public interface. Is it amazing? You betcha! Do we have some spectacular new features to show you? Absolutely! Is it, dare we say, FLASHY! Resounding Yes! Trying to find us in the Exhibit Hall? We’re at the end of hall where the fun begins. Look for us near the ‘What’s Cooking’ stage. LibChat Under the Hood Update Now Live! We’ve rewritten the core of LibChat from the inside out – But don’t worry, any existing widgets will still work as they always have. Online/Offline behavior is now directly tied to the chat window – We know, it happens. Now, if you close the chat operator window without clicking “GO OFFLINE”, no worries – your status will remain accurate. New “pop out” option in all patron chat widgets – Now all chats can be floated on top of the existing window instead of being embedded inside. If your patron navigates away from the current page, no sweat! Terminate Operator Session (Admins Only) – We’ve all been there – anxious to leave at the end of the day, you forget to close your browser window; when you get home, you realize your chat service still appears available. No worries – head to Admin Stuff > LibChat > Who’s Online and click Terminate Session – this remotely closes your browser window. Please use this feature with care, as it will end any existing patron chats when the chat window closes. Stay tuned for part 2 of the LibChat update later this summer – we’ll be revamping the widget builder and adding all manner of new features!